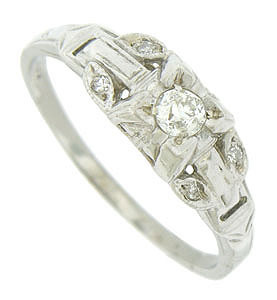 This handsome, floral inspired, 14K white gold engagement ring is set with a dazzling round cut diamond. Abstract leaves set with additional fine faceted diamonds adorn the rings shoulders. 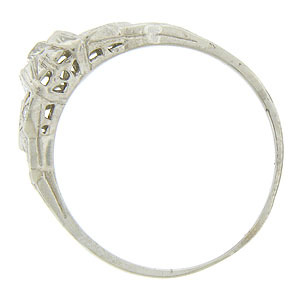 The ring measures 5.89 mm in width. Size 7 3/4. We can re-size.